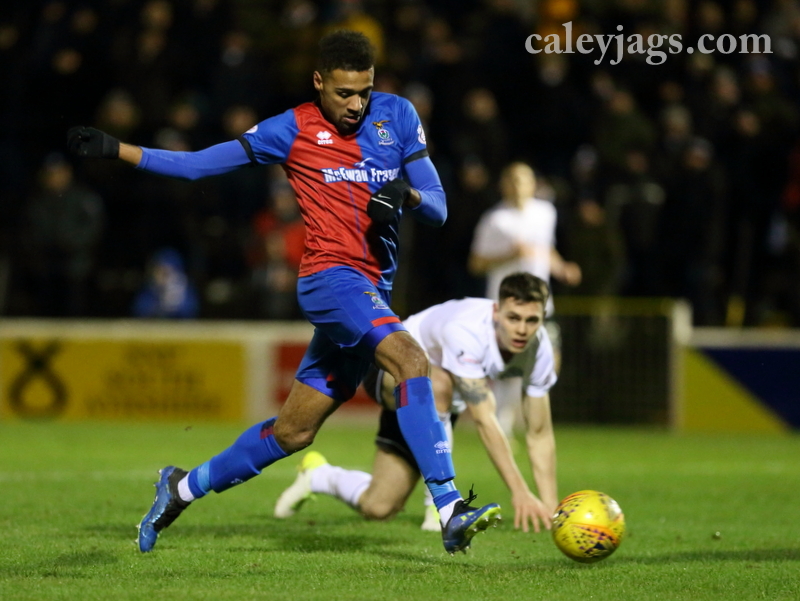 Caley Thistle beat Ayr United 3-2 at Somerset Park, with the Caley Jags racing into 3-0 inside the first 18 minutes of the first half as Nathan Austin scored double and Liam Polworth got the other. 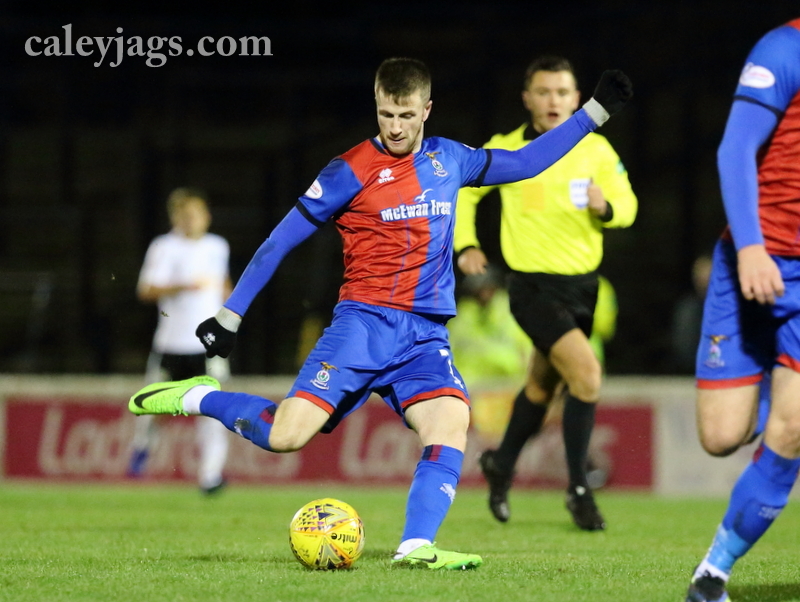 John Robertson made two changes from Saturday’s 2-2 draw with Falkirk as Anthony McDonald came in for his first Caley Thistle start, as the injured Aaron Doran missed out, while George Oakley came in for Jordan White. 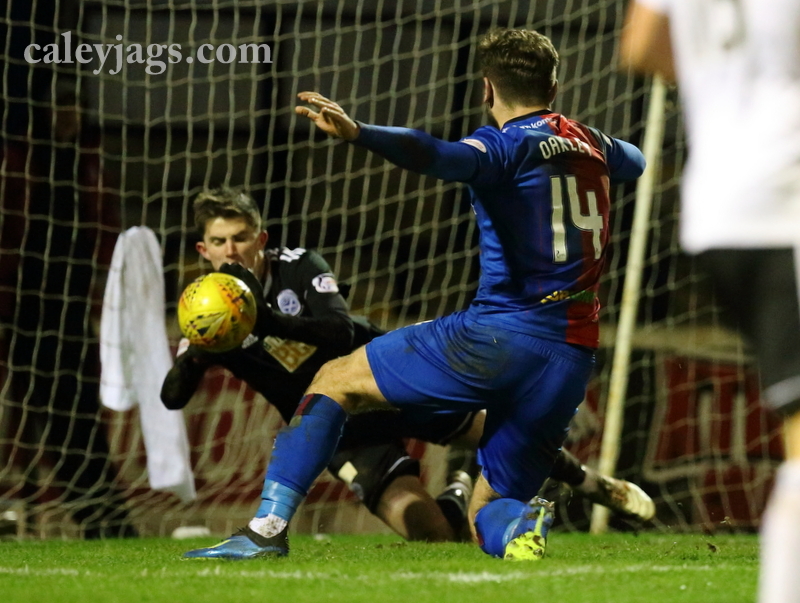 Cammy Mackay was called into early action as Crawford met McDaid’s cut-back but the ICTFC stand-in goalkeeper did well to push it behind for a corner. George Oakley met a neat flick from Liam Polworth after just 6 minutes played but his effort was well over the crossbar. 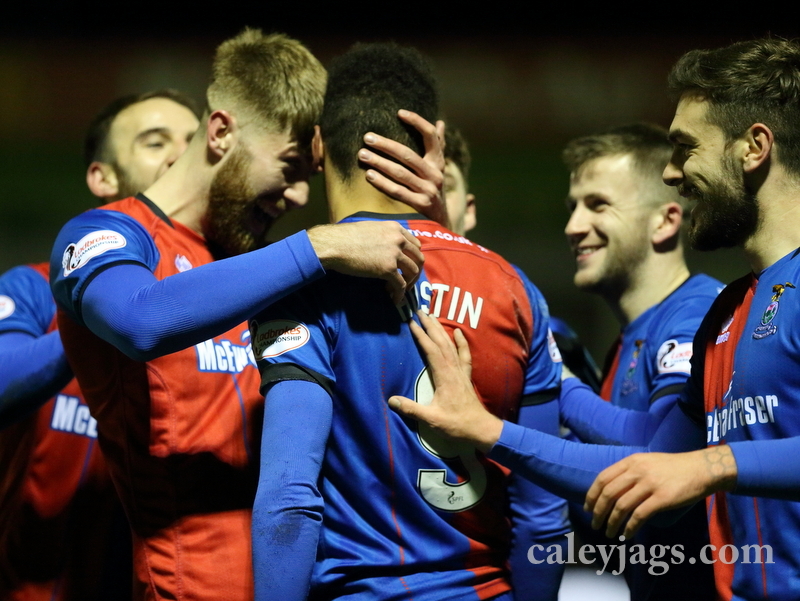 The Caley Jags did have the lead after just 8 minutes played as Nathan Austin scored for the first time since the 3-3 draw with Queen of the South in November. Austin was played in by Polworth and initially saw his first effort saved by Doohan but then tapped in the rebound to give Caley Thistle the lead. Only four minutes later, Austin got his second of the match to double Caley Thistle’s lead. George Oakley sent Austin through on goal and the striker rounded Doohan and slide his effort over the line to make it 2-0. Somerset Park was stunned and only six minutes later Liam Polworth made it 3-0 to the Caley Jags. It was good work again from Oakley as he put pressure on the Ayr centre-backs and ball found Polworth 20 yards out who’s effort arrowed into the bottom corner. The travelling supporters were in fine voice with the Caley Jags 3-0 inside the first 20 minutes but Ayr could got one back as Micheal Rose’s header hit the inside of the post. Polworth then supplied Oakley with a a chance but the Englishman’s effort was narrowly over the crossbar. Just before the break, Cammy Mackay was called into action again as Moffat advanced into the box. 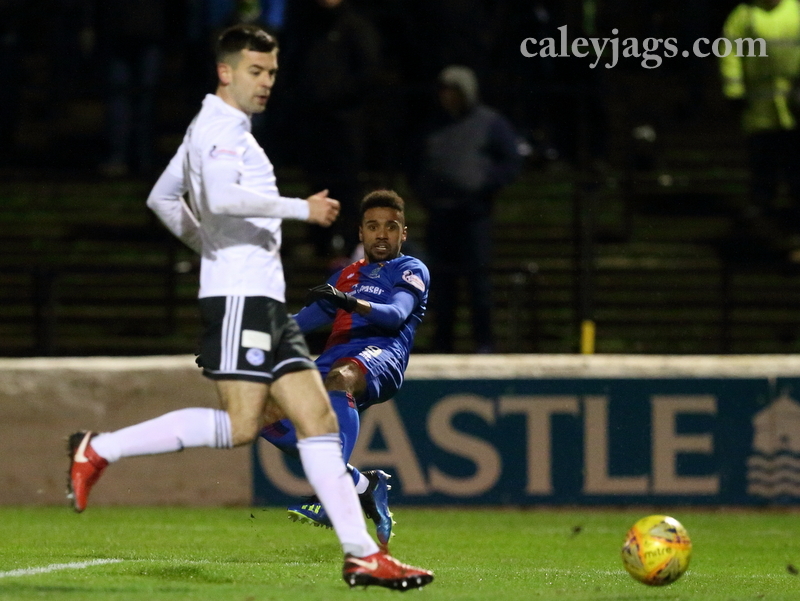 It was 3-0 to the Caley Jags at the break and Ayr boss Ian McCall made two half-time subs with Lawrence Shankland and Higgins coming on for Craig Moore and Ross Docherty. Ayr responded well in the second-half and got one back on the 52nd minute, Shankland put Jamie McCart under pressure and won the ball off him and he cut the ball back from Delcan McDaid to tap in. Nathan Austin made way for Jordan White as the strike looked like he had a slight knock. Ayr had a couple of chances through McDaid, but his cross went straight past everyone in the box. George Oakley was played in goal with about twenty minutes to go but use got back to challenge the striker. Joe Chalmers then was presented with a chance to seal the game but his effort was wide of the post. Shankland set up a grand stand finish as his free-kick deflected past Cammy Mackay on the 84th minute. Robbie Muirhead had a big chance late on to earn Ayr a point as he met a brilliant ball from McDaid but a slight touch from Tremarco meant the ball was slightly too high for Muirhead, who headed over. 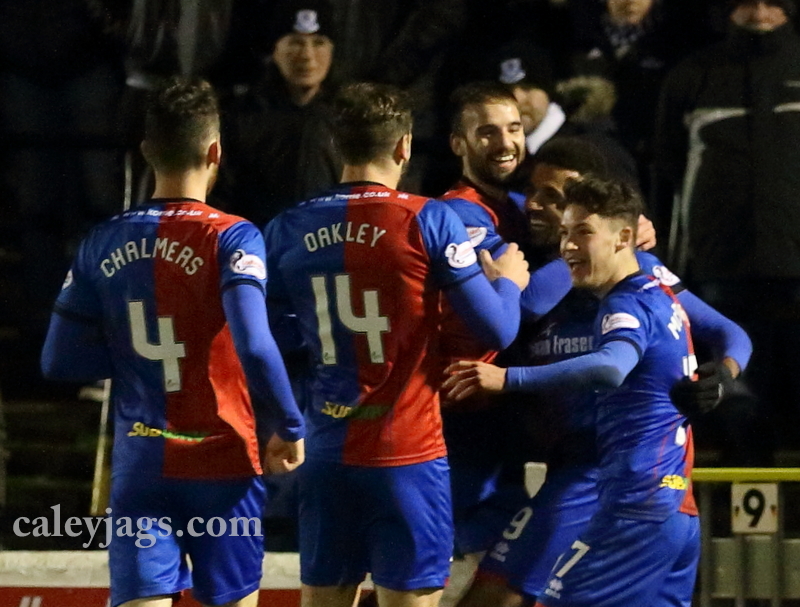 The win puts the Caley Jags into 4th spot, now three points ahead of Queen of the South and three points behind Dundee United who sit third. 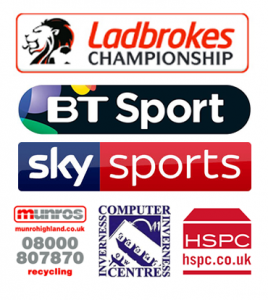 The Caley Jags are in home action this weekend as they face Partick Thistle.